One of the most enjoyable aspects of working with sanctuary primates is the ability to improve the quality of life for both individuals and groups, making their lives more interesting, diverse, and complete. Whether it's coming up with a novel piece of enrichment that intrigues them for hours or a complete alteration of their habitat, non-threatening change is the spice of life for these wonderfully complex and intelligent animals. So, we're very excited to begin another project that will enhance the lives of the primates, as well as the people who care for them... We're replacing all five of our semi-natural enclosures! These enclosures are topped over (completely enclosed) and are used to house the many monkeys who previously languished in research or were kept as pets who cannot be integrated into our large naturalized groups (who reside in our spacious open-topped enclosures). Though they are smaller than the large open-topped enclosures, they still provide a good deal of space and habitat for these smaller groups. The smaller enclosures have served us and the monkeys well, but after years of use (and a tremendous amount of abuse), it's time for an upgrade. The new enclosures will use better materials, have propane heated houses, and have numerous climbing and basking structures. 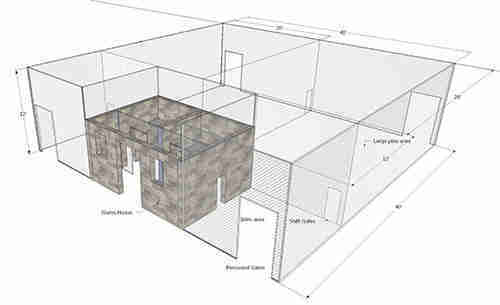 They will also have design features to improve efficiency, leaving staff more time for observation and enrichment. 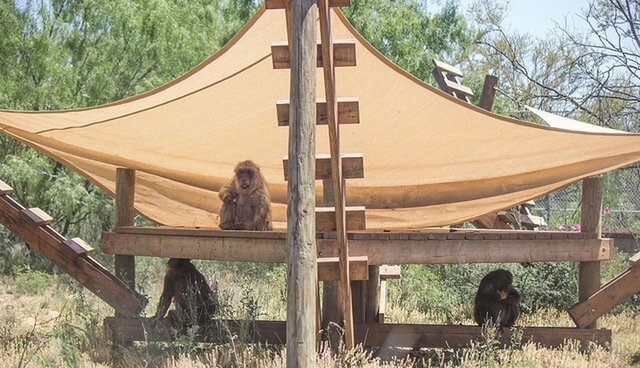 We can hardly wait to see the monkeys enjoying their new homes and I would like you to consider being a part of this new phase in our sanctuary's development. This is an expensive project, but the monkeys deserve no less from us-and we hope you think so, too!